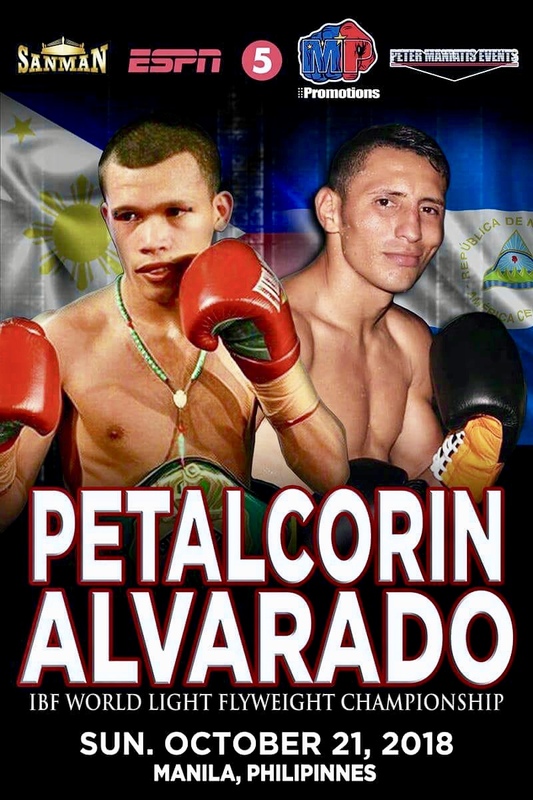 The fight for the vacant IBF junior flyweight title between Filipino Randy ‘Razor’ Petalcorin 29-2-1 (22) and Felix ‘El Gemelo’ Alvarado 33-2 (29) of Argentina has been moved from Melbourne, Australia to Manila in the Philippines on Sunday, October 21. “The IBF world title fight that matched Petalcorin vs Alvarado was scheduled for Melbourne, Australia on October 21st but because of a better proposal to stage the fight in a casino in Manila, Philippines we decided to change location to Manila,” said promoter Peter Maniatis, who was recently inducted into the Australian Boxing Hall of Fame. The pair of big-punching 108-pounders will contest the world title vacated by South African Hekkie Budler 32-3 (10) when a paltry purse bid on $25,000 was offered for his mandatory title defence against Alvarado. Budler, who still hold the WBA championship, would have made just $18,750 after the 75-25 purse split. The Petalcorin-Alvarado fight will now be a co-promotion between Peter Maniatis Events and Manny Pacquiao’s MP Promotions. “I would like to thank Senator Manny Pacquiao and Sean Gibbons along with Joe Ramos and Jim Manangquil for making it possible to stage the IBF world title fight in Manila, Philippines, who we are co-promoting the IBF world title event with,” said the Melbourne-based Maniatis. “When I notified Ricardo Rizzo the advisor of Felix Alvarado of the location change to Manila, Ricardo Rizzo said ‘Team Alvarado would be happy to fight Petalcorin on the moon if it means Alvarado gets to fight for the IBF world title with Petalcorin’.